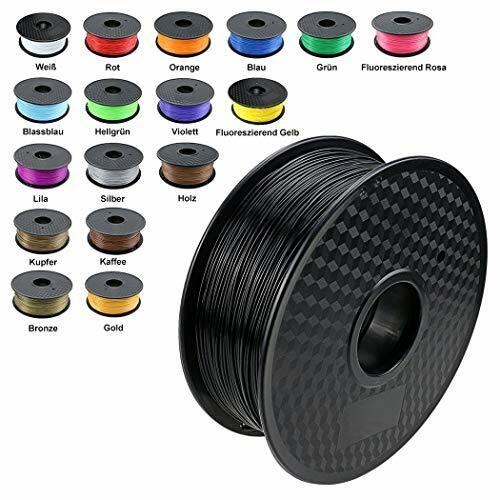 TIANSE Black PLA 1.75mm Filament 3D Printer Dimensional Accuracy +/- 0.03 mm 2.2 Pound Spool by TIANSE at In The National Interest. MPN: TS-3D-BK-1. Hurry! Limited time offer. Offer valid only while supplies last. Spool Diameter: 7.87" - Spool Width: 3.78" - Spool Hub Hole Diameter: 2.20"
If you have any questions about this product by TIANSE, contact us by completing and submitting the form below. If you are looking for a specif part number, please include it with your message.